Welcome to Monroe Family Chiropractic! We expect that on your first visit you will feel assured that you made the right decision. Please know that we will do no more than is necessary to admit you, determine if yours is a Chiropractic case and begin care, if indicated. 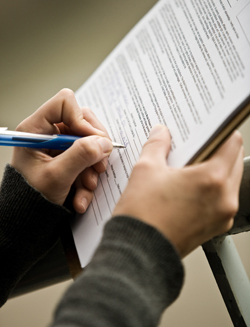 Admitting forms include health history, symptom survey questionnaire and other forms specific to the needs of insurance. Please allow about 15 minutes to complete. If you are interested only in a musculoskeletal evaluation you can skip the symptom survey. Just know that your body’s organs can cause reflex spinal dysfunction just as spinal dysfunction from trauma can interfere with organ function. The symptom survey gives us a place to start in determining just what kind of problems you are experiencing and will you need more than the Chiropractic adjustment. With the chiropractic adjustment we offer you a more responsive body with better flow of energy and better functional health. With clinical nutrition ,when indicated, we offer you a more responsive body with better flow of energy and better functional health. The adjustment helps your body repair better. Optimal nutrition gives your body what it needs to repair itself more completely. Remember, we are what we eat. We usually begin care on the first visit. The reason for this is the fact that so much of my examination is part of my treatment and such much of my treatment is part of my examination. Still, there are times we need to perform exam procedures above and beyond the basic spinal exam. Everyone is different. All I can say is that I see one person at a time and do whatever is necessary for that person to get results.